This is one of three juried international exhibitions including (of which two were granted The Focus on Nature Purchase Prize Award, 2002 and 2006). The original illustration artworks are housed in the museum’s permanent collection. 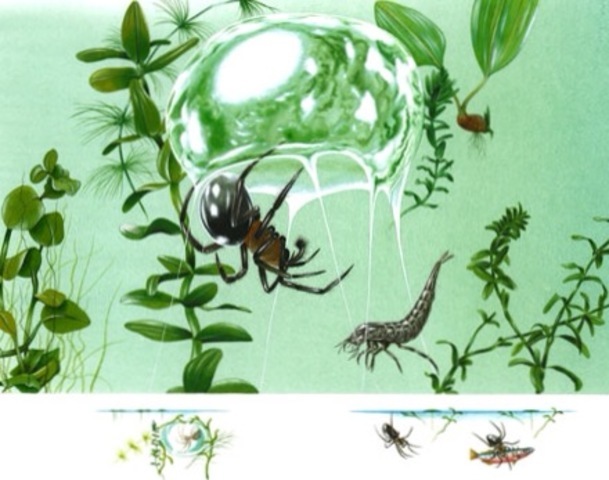 The exhibitions represent the best contemporary, international natural science and cultural illustration. It comprises selected entries from as many as 40 countries. The majority of work selected (including the Purchase Prize Awards), is part of an on-going research project. This is the production of visual material that presents the creation and interpretation of new knowledge related to elements of evolution and palaeo fauna; an interface between science and art- a combination of scientific research and illustration practice. It is the production and presentation of imagery representing material that is new to science and not previously visualised. Collaboration with Professor Jennifer Clack of Cambridge University has led to consultancy for Japanese state television (programme- ‘Miracle Earth’ 2003). Other collaborators are from earth science departments at Liverpool, Birmingham, UCL, Leicester and Bristol Universities. There have been invited lectures given at two Guild of Natural Science Illustrators conferences; University of Denver 2003 and College of the Atlantic, Maine 2001.